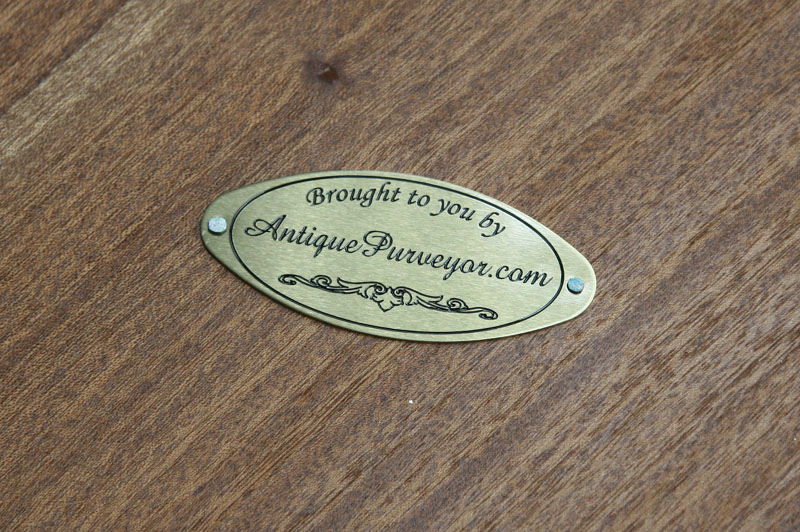 Description: Large mahogany buffet server with solid brass hardware. This buffet will handle all your storage needs. All the drawers are oak lined and dovetailed which goes to show the high quality build in this piece of furniture. It is a robust colonial styling which the cabinet goes straight down to the floor to maximize storage and styling.